Share the Road: Why don’t you ride on the sidewalk? While riding on the sidewalk may seem like a safer option, according to The League of American Bicyclists, many accidents happen when someone on a bike is using the sidewalk. That’s because not only are there more obstacles – mailboxes, signs, pedestrians & pets – but also because drivers aren’t looking for cyclists, particularly if the rider is traveling against traffic. In addition, in many areas bicycles are not permitted on sidewalks inside business districts, or where local laws prohibit sidewalk riding. 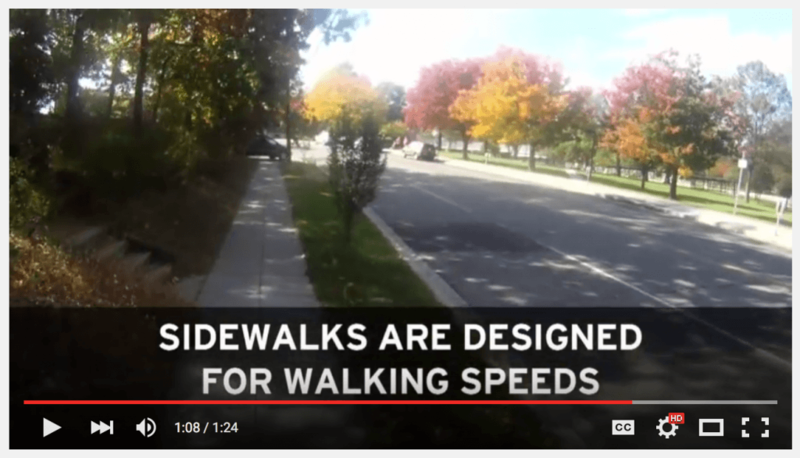 To find out more, check out this video from The League of American Bicyclists.